easy ones and difficult ones. Haha…I’m joking. My point is that the difficulty to solve a particular problem depends on lots of factors that beginners in FEA may not know. And it makes them difficult to estimate the difficulty of their problems or even lead them to a totally wrong way. So what are the factors which play important roles on the level of difficulty? The type of analysis to perform depends on the results we want to obtain. If you want to determine the deformation due to a force, the stress due to temperature or the energy released after an impact the method and the type of analysis employed will be different of course! Am I studying a linear problem or a non-linear problem? Consider a problem as linear is a big simplification that makes everything easier for the analysis. The problem? 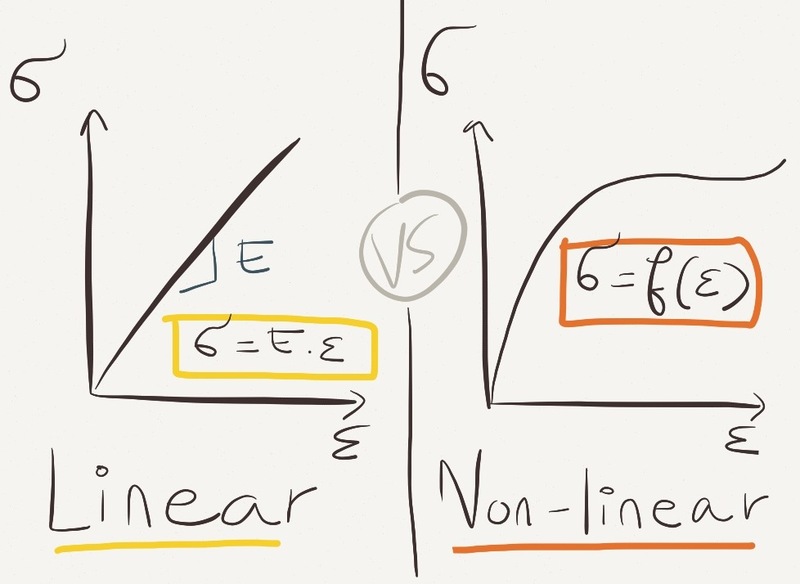 the world is not linear… everything is nonlinear. So what are the hypothesis of a linear problem? if you have all that, you are good for linear analysis ! Otherwise, you will have to plunge into the nonlinear world… more interesting, but also much more difficult to understand and perform correctly analysis for a beginner. In nonlinear Analysis, you can consider large deformations and strains, nonlinear materials and nonlinear contacts. It will be the subject of another article on this blog later. 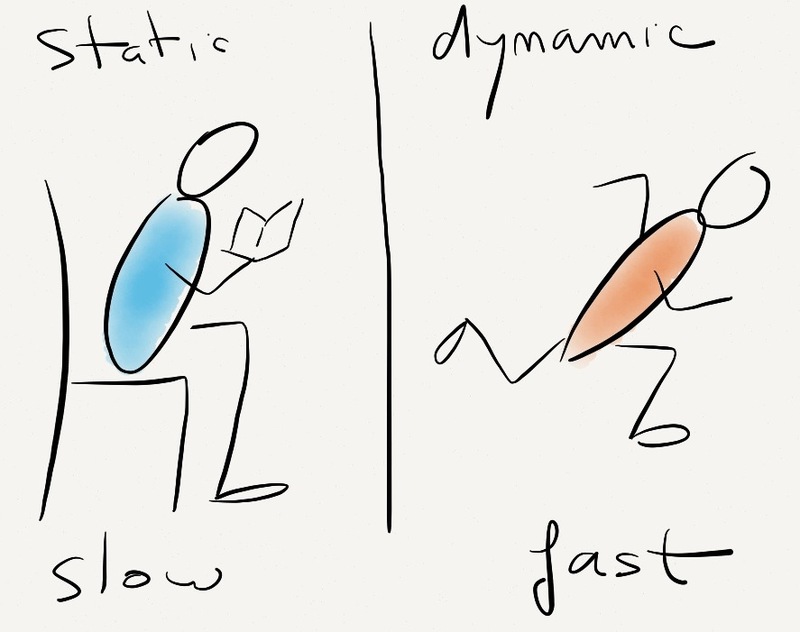 Am I studying a static problem or a dynamic problem? CAD designers tend to believe that more the model is detailed and better it will look… and yes, it will LOOK better, but it will be also more difficult to simulate because the FE Analyst will have to simplify the model afterwards to get an accurate “mathematical model”. In addition, more the model has small details and more mesh you will need to simulate it. When you increase the number of mesh, the calculation speed falls and the analysis becomes difficult to perform. So, as a rule of thumb: simplify, simplify and…simplify. 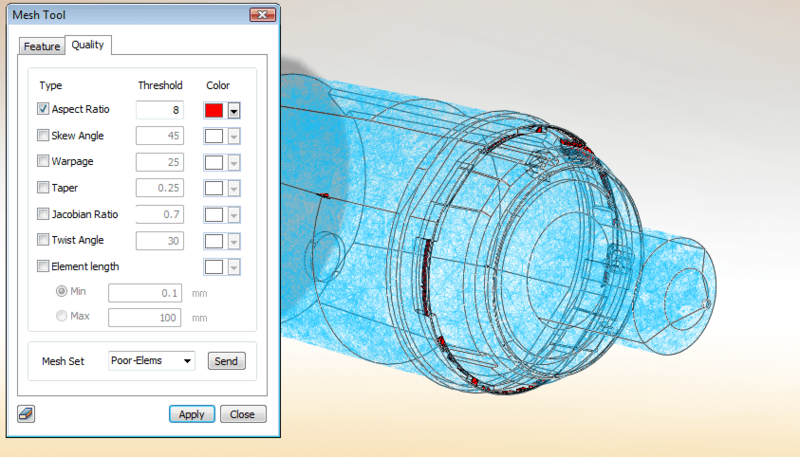 In the next blog post, I will explain the workflow to solve efficiently an FEA analysis problem considering all that. 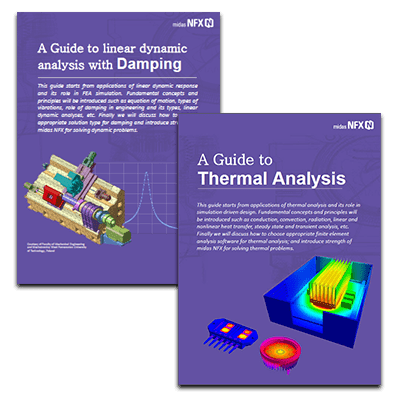 I am beginner in FEA, This blog really helpful to me….. I am a binger of FEA, and I found this blog is very important. I am hopping I will see more of ANSYS tutorials. Thank you Ybrah, you’re welcome! 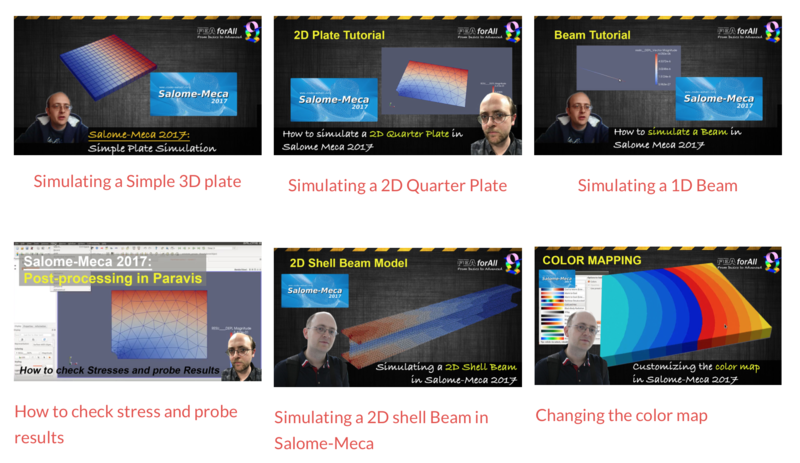 Which is the best CAE software to learn FEA? How to find a job in CAE/CAD ?